Thank you for your interest in our FREE download! While you're here, please check out some of the many other tools and training that NCI offers to help you become a Performance-Based Contractor™! 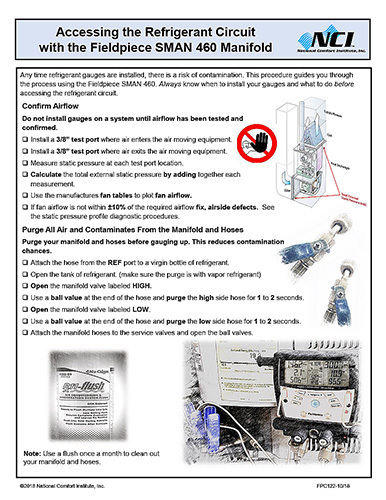 Whenever you attach refrigerant gauges to a system, there is a risk of contamination. This procedure guides you through the process using the Fieldpiece SMAN 460 manifold.